If you’ve owned a dog for any length of time, you have probably been curious about your dog’s occasional tendency to eat grass. If you are a normal dog owner, you have probably asked yourself why your dog does this, and whether it is safe. To date, there has been no conclusive reason found as to why dogs eat grass. Surprisingly, no substantial scientific study has been done on this strange behavior. With a lack of any concrete scientific analysis, many theories have been put forward. Almost all dogs (about 90%) eat grass. According to a study by Benjamin Hart and Kelly Cliff at the University of California, on average, dogs eat grass about once or twice a week. Dog experts cannot agree on what specific condition contributes to our dogs’ desire to eat grass. 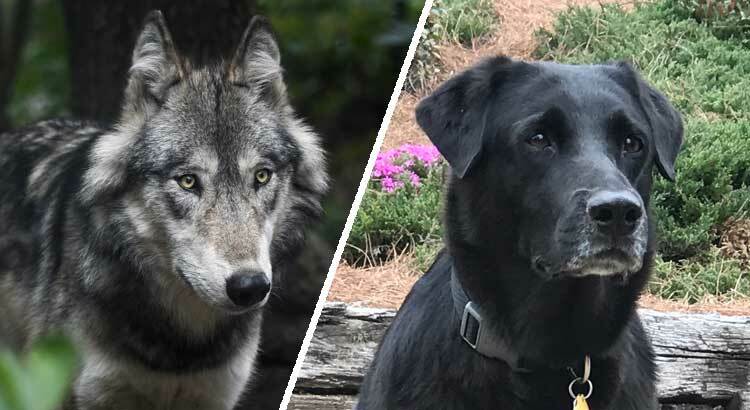 Even Dr. Stanley Coren, a leading expert on dog behavior and psychology at the University of British Columbia in Vancouver, found little conclusive evidence on the topic when he attempted to research it for himself. This study was limited in scope – only seeking to find out whether dogs eat grass in order to induce vomiting due to sickness. But the study did not pursue any other causes. 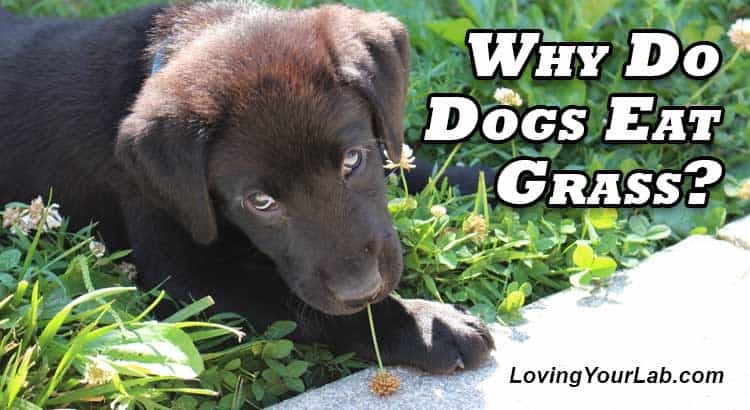 Moreover, the analytical method of the study was less than conclusive and simply involved interviewing 25 veterinary students about the behavior of their own dogs with regard to eating grass. According to the veterinary students, all of their dogs had eaten grass. 8% reported that their dogs vomited after eating the grass, and none of the dogs were observed to be sick before they had eaten it. 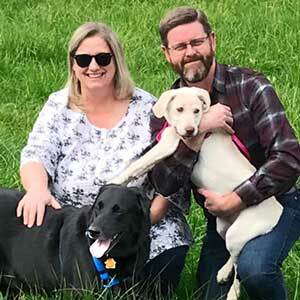 After these findings, the subject group was enlarged to 47 dog owners who had their dogs admitted for outpatient care to UC Davis Teaching Hospital. 79% of this group confirmed that they had observed their dog eating grass or some kind of plant substance. But only 6 participants in this study reported their dog vomiting after they had eaten grass. It was then expanded further to over 1500 dog owners who reported their observations on a web-based survey. 68% of this study’s participants also affirmed that their dogs ate grass on a daily or weekly basis. However, only 8% of this group reported their dogs being sick before eating grass and 22% testified that their dogs vomited after eating. Consequently, after the testimony of this largest group, no verifiable link could be found between a dog’s attraction to eating grass and their motivation to induce vomiting. The dog’s most ancient ancestor, the wolf, has been a scavenger and forager of food since the species’ beginning. It would, therefore, not be outside of the realm of possibility that their domesticated descendants would have the same affinity for this naturally growing crop. 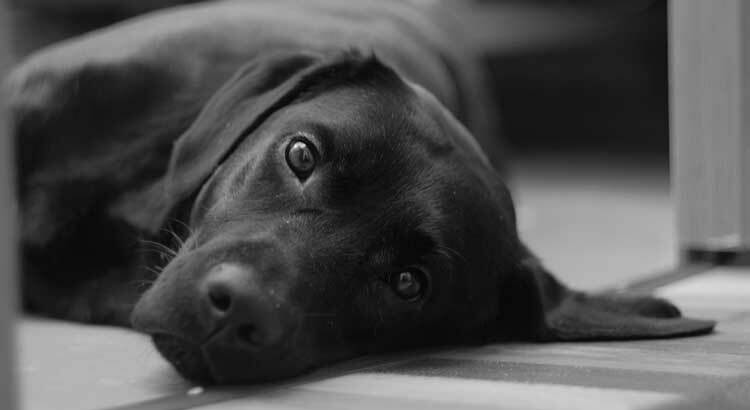 Some dogs, Labradors, in particular, can revert to destructive behavior when they are bored. In times past, dogs were primarily working animals that had fixed tasks that they were absorbed in. Today only a small number of domesticated dogs have a dedicated profession. Many family dogs become bored if they are occupied only with human affection and the occasional walk. For a dog, boredom often leads to stress. Ask yourself how you tend to behave when you feel bored. You may become fidgety and restless. The same is true for most dogs when they have nothing to do for a long period of time and are understimulated. 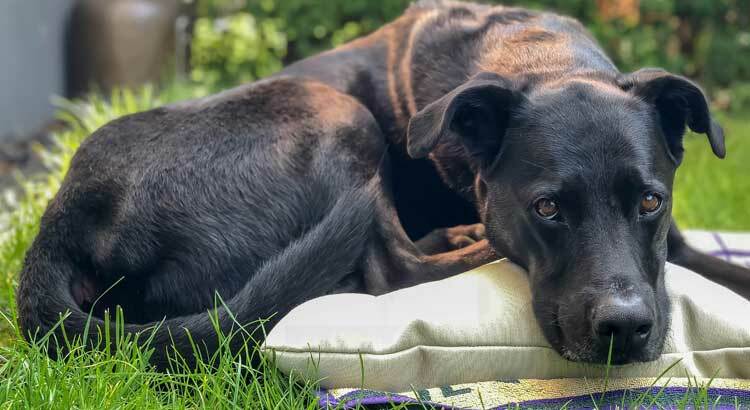 Symptoms of boredom in dogs may involve the following: They may become nervous, run around restlessly and in the worst case even break items in the home because they have too much built-up energy that they cannot expend constructively. A dog can also manifest boredom through barking, in an attempt to draw attention to the fact that he does not feel at ease. Further symptoms of boredom are nibbling or increased licking of various parts of his body. Other symptoms may include lethargic and sluggish behavior, as well as increased aggression. Activity and movement is the immediate remedy for boredom. If your dog appears bored and uneasy, your first step should be various types of exercise. Go out and walk, play, and run with your dog. Just letting your dog outside to sniff around the lawn is not nearly enough. Ideally, you will engage him with a task and keep him mentally stimulated with a game of fetch, running on the leash, or other activities. You can consult your local dog trainer for inspiration. The veterinarian can also help you if you have questions about how to keep your dog occupied or if you are unsure whether your dog is really just bored or possibly ill. 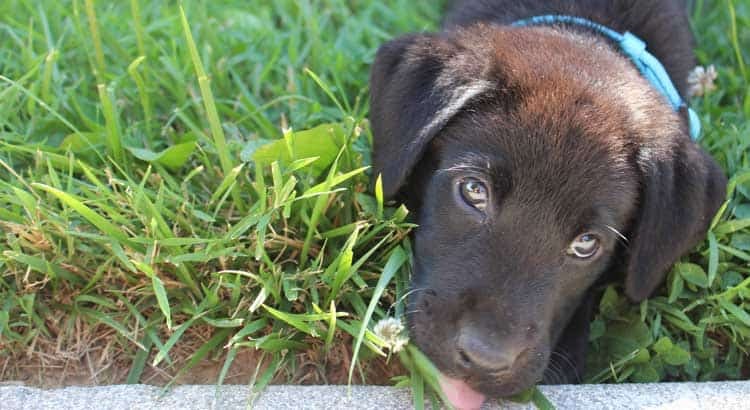 Stress may be one contributing factor as to why dogs eat grass. Different dog breeds cope with stress differently. Environmental conditions that can contribute to stress in dogs can take such forms as loud, rambunctious children in the home; frequent disruptions in their rest times; being frequently frightened or startled; being constantly crowded by people with no place to retreat, or too little physical activity and mental stimulation. Any or all of these conditions can put undue strain on a dog and, over time, can produce a nervous and highly stressed animal. It also may not be just the intensity of individual stress factors but also how long the dog is exposed to these different conditions. Often it is prolonged exposure to these possible factors that can produce stress-induced behavior. A negative encounter with other dogs can also be a contributing factor to a dog’s stress. These negative experiences can influence future encounters with other dogs, keeping the animals in a kind of high-stress alert mode. Some dogs can persist in this stressful response and are unable to be at ease when confronted with new or unfamiliar dogs. Even though no definitive connection has been found between eating grass in order to induce vomiting, it is possible that grass acts as a calming agent for indigestion. Grass contains a measurable quantity of magnesium. This magnesium can have a positive effect on a dog’s stomach and intestines. It dampens the production of gastric acid and ensures that acid levels in the stomach decrease. Grass may also be effective in cleansing the dog’s intestinal tract of parasites. Grass is also rich in dietary fiber which supports digestion and stimulates intestinal activity. It contains antioxidants and chlorophyll (the color pigment that gives plants and their green color). Unfortunately, modern dogs can’t digest the grass well enough to make use of the chlorophyll. Wild carnivores, on the other hand, eat the pre-digested grass and are able to absorb the gastrointestinal contents of their prey. Wild canines also have access to a variety of wild herbs rich in digestible chlorophyll and important minerals. Our domestic dogs may attempt to get this beneficial greenery from our lawns or from the tufts of grass on the edge of a field. In the absence of any other conclusive evidence, it may be that dogs simply like the taste of grass! This should come as little surprise to us when we observe all the questionable things that our dogs choose to put in their mouth. It stands to reason that if our beloved (but sometimes disgusting) pets can enjoy things like toilet water, dead critters, feces, vomit, or even the living room couch, it is that much of stretch to imagine that they may find grass delicious? If you notice your dog eating grass, there’s no need to panic. Many veterinary experts consider eating grass to be normal and a *mostly* harmless behavior for dogs. However, while the grass itself is not toxic, it may have been treated with pesticides and fertilizers that are very dangerous for the dog. Especially when around flower beds and in unfamiliar lawns and gardens, you should take care to prevent your dog from eating the grass. Many lawn treatments and pesticides are highly poisonous and, therefore, can be extremely harmful even in small quantities. Pet owners, as well as neighbors and friends, can help by using only non-toxic products for their gardens and lawns. Another problem is fertilized areas where bacteria can multiply. These bacteria can be found in feces and dead animal remains and can collect in the grass at the edge or in puddles and can be ingested by your dog. 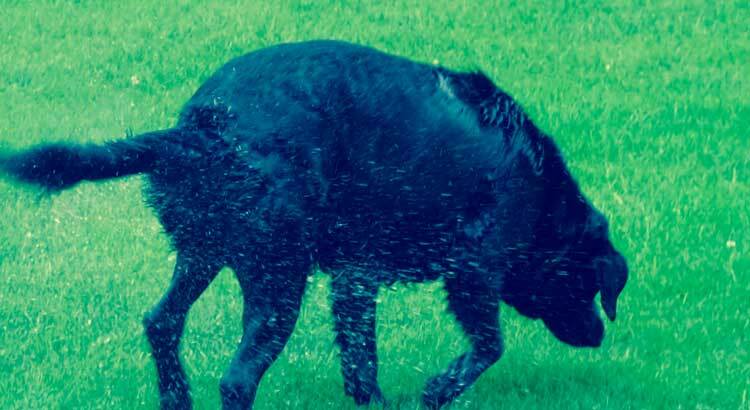 So be particularly careful at the edges of fields and when fresh fertilizer has just been applied and prevent your dog from eating the grass or drinking from any puddles. It is also advisable to wash their paws at home. In general, you should pay attention to what kind of grass your dog eats. Do not let your dog eat anything that has been treated with pesticides or fertilizers. This is relatively easy to monitor in your own lawn or garden. Most lawn care products indicate whether they are safe for pets. Do All Labradors Like Water?